Golf Mug – If you’re looking for a really unique gift for the golfer in your life whether it be dad, a businessman or avid hobbyist, we can’t think of a more fun gift than this! 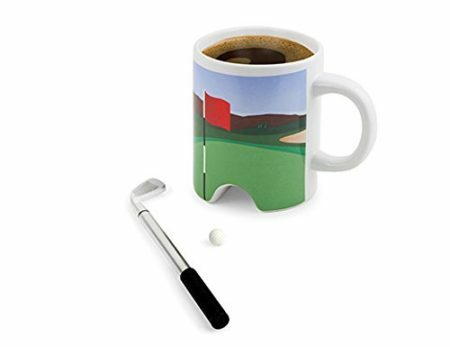 A mug and a putter… but the putter is also a pen! So they’ve got their morning coffee and a handy pen nearby for note-taking. Surprise your special golf lover with this creative and fun golf gift. A practical gift idea that will surely be the hit of the party and a hole-in-one!